瑞士凱撒里茲飯店管理大學傑出校友César Ritz Colleges Switzerland Alumnus, Mr. Duncan O’Rourke,也是國際知名5星級飯店Kempinski Hotels集團, Chief Operating Officer 營運長. 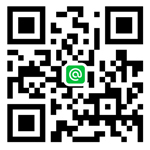 回凱撒里茲母校演講他在母校就讀的回憶及飯店產業趨勢及他的成功經驗給在校學弟妹. 校友Mr. Duncan O’Rourke,於1989年畢業是國際飯店集團最年輕Chief Operating Officer 營運長之一. Chief Operating Officer of Kempinski Hotels offered a special guest lecture to César Ritz Colleges Brig Campus students. 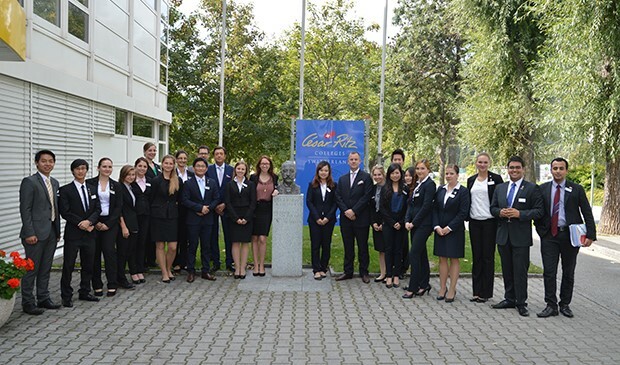 César Ritz Colleges Alumnus, Mr. Duncan O’Rourke, Chief Operating Officer of Kempinski Hotels and Mr. Xavier Destribats, President of Kempinski Europe travelled to Brig, Switzerland on Friday, September 12th to offer a special guest lecture to César Ritz Colleges Brig Campus students. Providing industry inside information and career advice, this was a very special opportunity for students to learn directly from experts in their field. Mr. O’Rourke graduated from César Ritz Colleges in 1989 and quickly made a name for himself in the hotel business as one of the industry’s youngest COOs, when hired by Kempinski Hotels in 2002. Working for Europe’s oldest independent luxury hotel group, his focus is on consolidating Kempinski’s expansion and ensuring the group delivers on its brand promise through operational excellence. The event was organized and hosted by the Eta Sigma Delta (ESD) International Hospitality Management Honor Society. 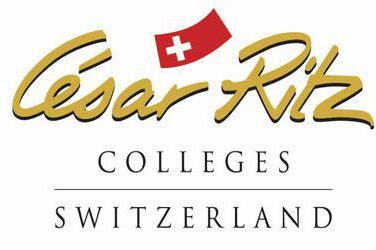 César Ritz Colleges Brig Campus is one of 90 chapters worldwide and is home to 20 member students. The society acts as a platform for academic, professional and personal growth and is an opportunity for outstanding students to distinguish themselves in the eyes of educators, recruiters and industry. A special luncheon followed the event providing an opportunity for students to speak directly with the guest lecturers. Our sincere thanks to Mr. O’Rourke and Mr. Destribats for taking the time out of their busy schedules to meet with us at César Ritz Colleges Brig.